I can not stress enough that weight loss diet food need not be bland and boring. 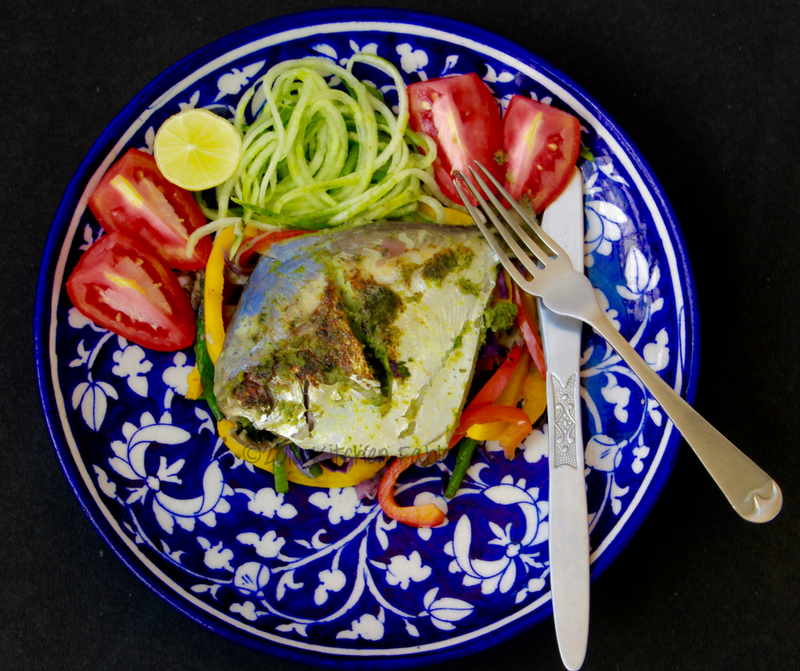 A well marinated whole pomfret cooked to perfection with minimal oil, served with Stir Fried Mushrooms, Stir Fried Vegetables or Salads is a great example of this. For me diet food is something that provides adequate nutrition, satiates hunger and reduces the calorie intake. 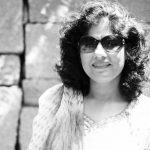 While I was on a weight loss diet , my nutrition coach Pooja used to design my weekly plans taking into account my work and travel plans so that I could eat healthily where ever I was. 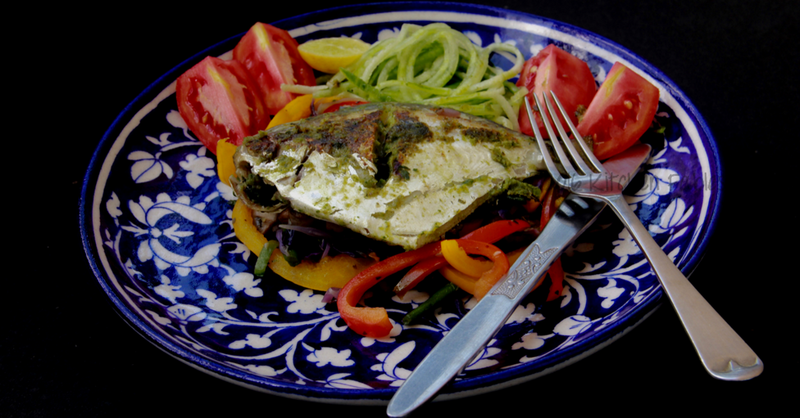 When travelling on work , my lunch used to be a steamed or grilled fish with a large portion of salad. 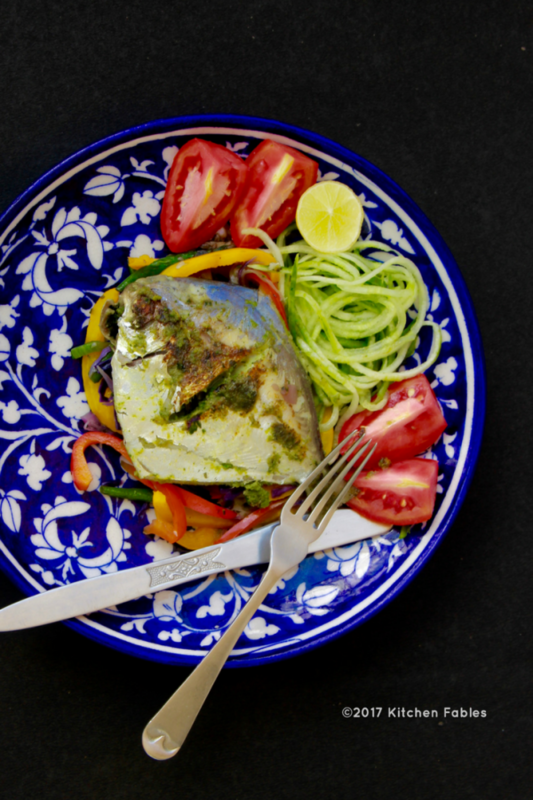 Recipe for a Pan Fried Pomfret Fish - A healthy Meal Option. Wash the fish and keep it in a strainer for 10 -15 minutes. Grind a thick paste of coriander , ginger garlic paste, green chillies along with lemon juice and salt. Do not add any water. 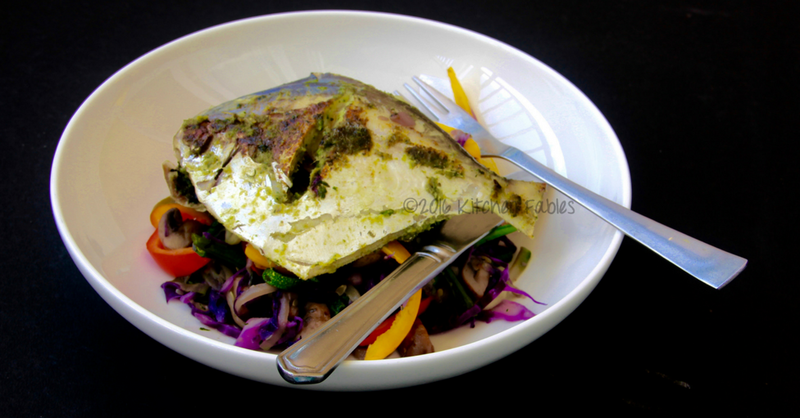 Make slits on both sides of the fish and rub the coriander paste generously on the fish and stuff the slits. Keep the fish for 4 hours in the fridge. 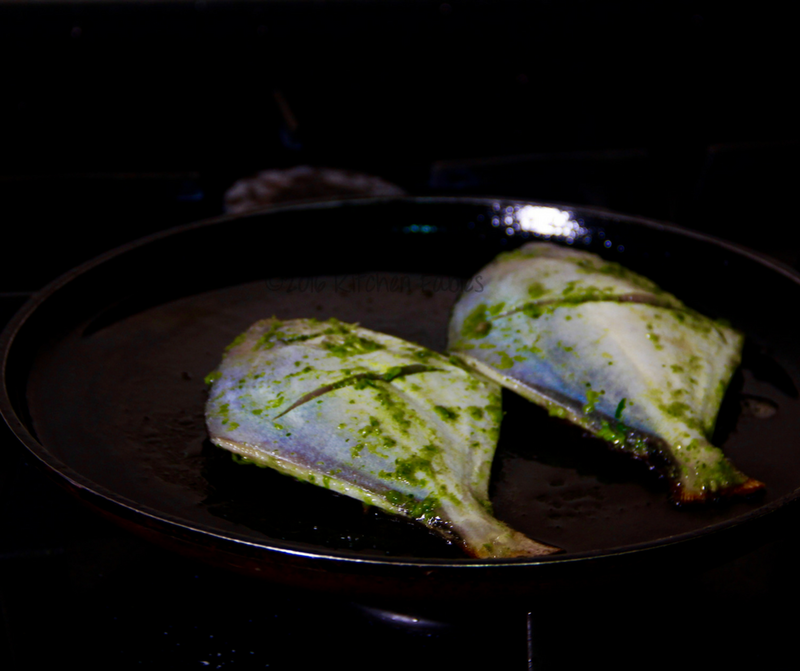 Heat a griddle or a pan & spray a little oil and put the fish on it . Flip the fish after 5 to 7 minutes. Take it off the pan once done from both the sides. Serve hot with Salad or grilled vegetables.